We are excited to feature Dave Hicks, Marketing and Business Development Manager, as our Feature Friday interviewee this week. 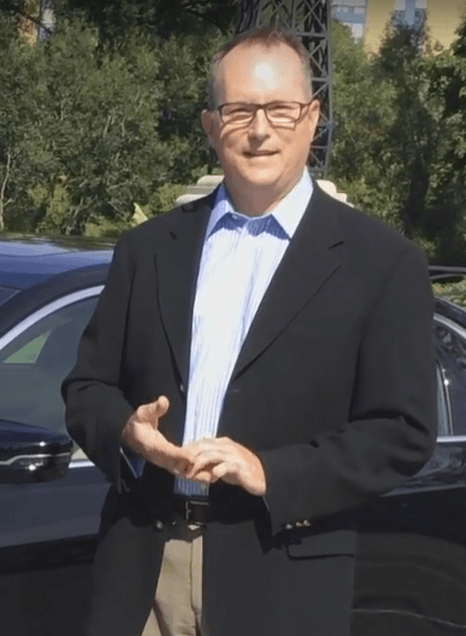 Please scroll down to read about Dave's take on life around the dealership. To me, OMS represents class. In part, that's because we carry the Cadillac brand, which has always been known as one that represents style and luxury (newer Chevrolet vehicles are also very classy, which is a big reason why GM dealerships are doing so well right now), but also I think it's something we bring to the industry. Automotive sales sometimes gets a bit of a bad reputation but that's something we're always challenging by being honest, upfront, and transparent with every customer we assist—and in every department, too. I started at OMS in 2007 and I've been fortunate enough to have worked in a number of roles here. I think having seen a number of different sides of the dealership has really given me the opportunity to understand and appreciate every facet of the dealership, and seeing how so many of its parts function was a reason why it was decided that I would end up being the Marketing and Business Development Manager. Being able to market the dealership means you have to see all the cogs, and I have seen first-hand how well they all work together. Definitely an element of professionalism. It might sound like a no-brainer, but we hear complaints all the time from our customers' interactions with other businesses (not only dealerships). When someone doesn't feel respected or appreciated, why would they want to do business there? Professionalism is something our entire staff brings to the table in spades, and that's why we've been around for almost a century now. It can be fast-paced at times, but it's always very rewarding. My coworkers are all individually funny and uniquely talented; together, I am confident that we can accomplish any task presented to us. Our staff are members of their departmental teams, certainly, but the way those departments are then able to work together and represent the dealership as a whole is truly inspiring. In the time that I've worked at the dealership, I've had several different roles and I've occupied several different offices. I guess the dealership has just never known where to put me long-term! I've had three different offices in the used car building, three in the new car building, I've spent time in our temporary used car trailer while we renovated that building, I spent two months as the sole occupant of the upstairs boardroom, and now finally (for now!) I've secured a spot in the newly-developed Marketing wing of the dealership. Let's see where they put me next!